In each episode families will go on the same week-long holiday, sampling the food, accommodation, and taking in the local sights. Their adventures will entertain and surprise you as they deliver no-holds-barred reviews and rate their stay out of five stars. Your favourite travellers like the Fren family, Kevin and Janetta and twin cowgirls Stack and Mel return, and they’ll be joined by some diverse new holidaymakers exploring new destinations at home and abroad, including Europe, India and South America. Each week five very different groups of ordinary Aussies become travel critics, going on the same week-long holiday – sampling the food, the accommodation, and taking in the sights. Their hilarious adventures will surprise you as they deliver no-holds-barred reviews and rate their stay out of five stars. But one person’s idea of paradise can be another’s idea of hell. 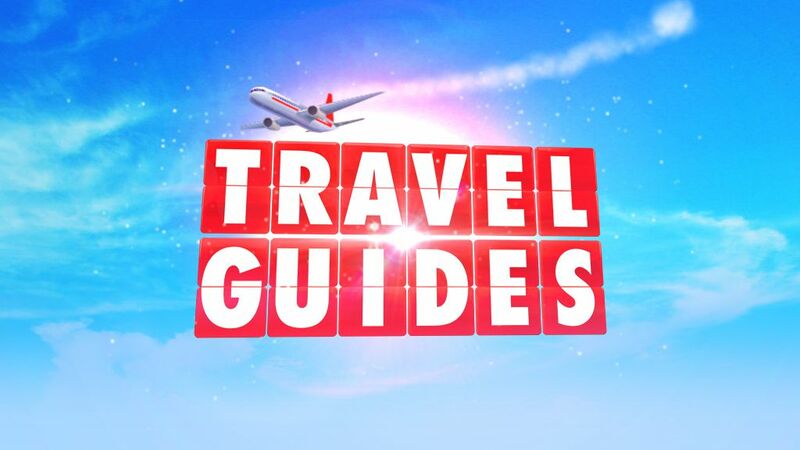 Narrated by Aussie comedian Denise Scott, Travel Guides is a format developed by Studio Lambert and is produced in Australia by the Nine Network.